My life has been influenced by so many women. Women like my momma, grandmothers, my sister, teachers, professional athletes, superheroes, and royalty. To pick just one influential woman is crazy in my mind, so I chose to focus on two: Diana Prince and Princess Diana (I know ironic). Both of these women, one fictional and one gone before my time, have had such an impact on how I lead my life. On June 2nd, 2017, DC Comics released a new-aged ‘Wonder Woman’ for the next generation. Diana Prince made her return at a time when women were marching in the streets and fighting for what they believe in most. The first time I saw this movie, I think I cried through the entirety of it. Never had a movie hit me so hard and made me want to be the best woman I could be. I remember thinking, “Finally, a hero that every little girl can see herself as”. The character of Diana Prince has come so far from when she was created; all the while, inspiring each generation of women that grew up with her. She taught me how to be strong and tough without sacrificing love and care. Diana Prince showed me, and other women around me, that if we believe in something, then we have to take that leap and pursue it. One of the most famous quotes from the 2017 movie reads, “I will fight for those who cannot fight for themselves”. Diana wanted us all to remember that we have each other’s backs and that we should always support and care for each other. The next Diana has held a place in my heart and life since I first heard her name. Princess Diana-- “The People’s Princess” died in 1997, about a year before I was even born. It wasn’t until my freshman year of high school that I learned of her and what she did in her life. The whole reason I can across Princess Diana was for some little assignment in one of my classes. I had to find someone that was influential and learn all I could about them. So I googled, “Influential women” and up popped her name. 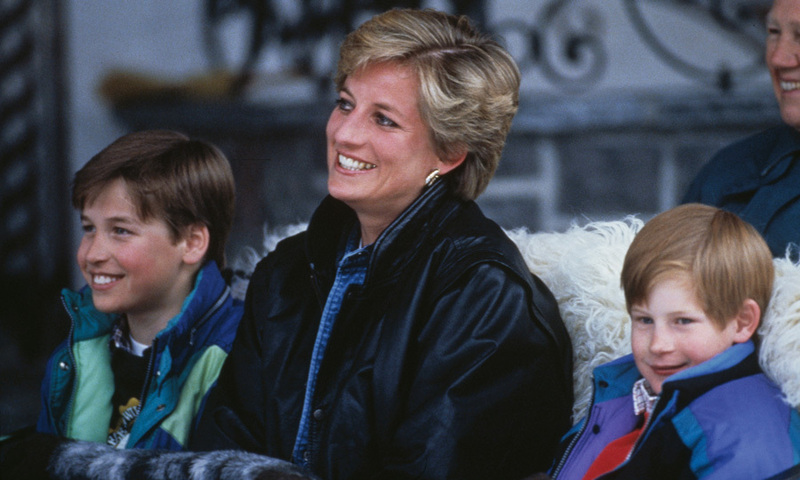 From there I learned that Diana was never afraid to speak what was on her mind and she spent many years in humanitarian work because of her love for people. She wasn’t the typical member of the royal family and I think that’s what made her such a popular figure in people’s eyes. She was human in a world where it was very hard to be just that. Everything she did was done with grace, purpose, and heart. Princess Diana taught me that it is okay to stray from the norm. Which is exactly what any 15 year-old girl should learn. She also taught me that I shouldn’t be something just because that’s what everyone wants from me. Staying true to yourself and being a good human is what matters most. In the following interview, Diana talks about being “queen”, but not the queen of the family she married into; a queen of the people’ hearts. This resonated deeply with me, and whenever I am feeling “off” I turn to this interview to set my heart back on track. These two women have impacted my life in a way that I didn’t think possible. As far as inspirational women go, Diana and Diana have topped the list.